2012 "A Bride's Trip in Wartime"
"This all started in Medicine Hat, Canada, in 1943, after Ron and I got married. Ron was in the RAF (Royal Air Force) as an electrician. He was a very happy man and we planned to live in England, when the war ended. We did for nine years, two children later. Then we moved back to Canada and stayed here in Medicine Hat til 1980* and then in Duncan B.C. We were a very happy couple, with two little children, Linda and Bobby. They were 4 and 2 years old, at that time, and enjoyed the trip. We, like everyone else, had our ups and downs, mostly Bobby's chest trouble. he grew out of that, in time, to be a fine man. When we look back, on these times, we learn how hard life can be for people like him, as a baby. Thankfully he grew out of this problem and thrived. The two children grew up and did well, at School and in life, and Ron got ill, heart trouble in his 40s**, which caused him two serious Open Heart surgeries and lived to be 82 years old and 3 leg surgeries. Not a good time for either of us, and I was very worried for him, especially when Doctors but a whole new vein from hip to ankle in his left leg. Talk about fear, I sure was fearful, but he survived. Now Bless Him, my darling, he has been at peace, 20 years." *The family never lived in Medicine Hat on their return to Canada. They lived in Bowness, a suburb of Calgary, which was absorbed into the City of Calgary in the mid 1960s. They moved in 1980 to Mill Bay, BC, and then to Duncan, BC around 1990. ** Ron's heart troubles did not occur until he was into his late 50s. He died December 31st, 1996. The title of this entry, "A Bride's Trip in Wartime," is really a misnomer. 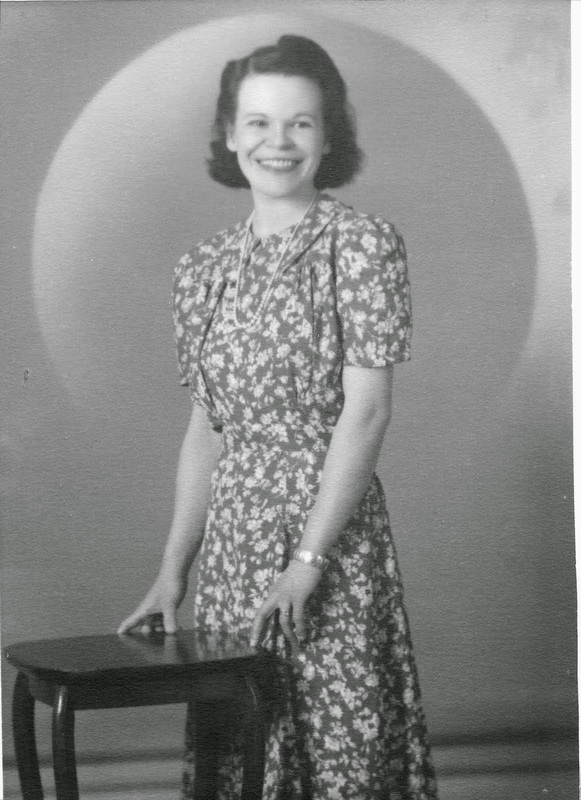 Letty has written about her trip to England during World War II, much more extensively. Eventually I will get to that entry.